To ask other readers questions about A Wedding at the Comfort Food Cafe, please sign up. 3 - "We shall make the world a better place, one cake at a time…" Stars. So we reach the end of the Comfort Food Café series with Pharmacist Auburn Longville’s story wrapping things with the village and residents of Budbury up. As much as I have loved this series, the last couple of books have definitely been less enjoyable for me, A Wedding at the Comfort Food Café being a bit of a disappointment all round. Don’t get me wrong, it was easy enough to read, with the usual wit, o 3 - "We shall make the world a better place, one cake at a time…" Stars. As much as I have loved this series, the last couple of books have definitely been less enjoyable for me, A Wedding at the Comfort Food Café being a bit of a disappointment all round. Don’t get me wrong, it was easy enough to read, with the usual wit, one liners, and razor sharp banter that I have come to expect from the author, but whereas the earlier books were quirky and offering unique spins on stories, we have been moving into lackluster and predictable and this final installment had massive ticks in both the aforementioned boxes. "We’ve come a long way haven’t we…?" Its safe to say the author was always going to struggle to win me over with one of my most detested tropes taking front of stage (view spoiler)[love triangle (hide spoiler)] but at the end of the book what frustrated me the most was how it was all wrapped up in a matter of paragraphs and to my mind felt like it a wholly been used as filler material to give an otherwise emaciated storyline a little bit of fleshing out. This series will always hold a place in my heart, I just feel a little underwhelmed by its end, my favorite bit was at the start when the author gave you her thoughts and ideas on what everyone’s life was likely to be like a few years on, in a way that is the book I wish she had written, a Budbury - Ten Years On, book instead of the one we got. I’ll still look avidly for new titles from Debbie, her down to earth writing style and characters always hold an appeal, even if sometimes the story-lines don’t necessarily ring all my bells, but then life would be boring if everything pleased everyone all the time wouldn’t it. Auburn, the former wild child, has settled in Budbury. She, with the brilliant red hair, still tries to stop smoking and sometimes drinks too much, but she's happy in her skin - finally. Her relationship with the gorgeous Finn is going from strength to strength and really, everything looks peachy. That is, until one day, one shock revelation sees the light of day and an unexpected visitor arrives - and this sends Auburn back to her reckless day in Spain. She starts to question her choices - shall she stay in Budbury? Did she really change or is she still, deep down in heart, looking for adventures? I love the Comfort Food Cafe series, and I am also the one always telling that the cafe should be real, and I think I will miss the characters but I also think that it's the best time to stop the series now - the author can so beautifully and gorgeously explore all kinds of feelings, she can so well write about emotions, and the way the characters are able to speak about it all is truly amazing but I simply think that the lovely formula has just run out. Though I will be the first in the virtual queue to put my hand high and admit that I'd love to hear more from Laura - especially Laura. The author has also told us at the beginning of the book how she sees the characters in the future - and as much as I loved reading it, for me they should all simply stay in Budbury. They just belong there and make the place so great. This story was as well filled with larger than life characters, real feelings, delicious cakes, wild parties, tons of dramas and troubles, and this all written in this gorgeous, chatty, humorous writing style. Those books brought me so much joy and happy tears, as they were so warm and inviting, and full of the overwhelming feel - good factor. The way they are written is absolutely inimitable but I think that those were the characters that made the series so exceptional and special - loveable, real and realistic. As usual the main character, and this time we get a focus on Willow's sister Auburn, has secrets she hides, problems and skeletons in the closet. However, as it usually happens, the secrets have a habit of catching up with you. I quickly learnt that there is always much more to Debbie Johnson's characters than meet the eye, that you can't judge them, that you simply have to give them time, and it was the same with Auburn. What I really liked in her was the fact that she was totally honest, that she didn't want to hide her feelings, that she wanted to be frank with Finn. I raced through the pages of "A Wedding at the Comfort Food Cafe", as always, enjoying the gossip and characters' antics. Reading this book was like being back with your best friends, you really know the characters so well. They feel so real because they are moving, growing, maturing, changing, they become children and it feels like a wheel of life, like there is someone who's going to continue the characters' work, who's going to keep the place going. They care about each other and they are so honest and altruistic and you simply feel like a part of their gang. Shortly - it was another book about the power of friendship and trust, about second chances and love. Gorgeous and utterly compelling and I highly recommend it to you all. I've got to say I just love this series, set in a small village and cent Auburn Longville is the former wild child turned pharmacist, brilliant red hair (hence the name) with a few bad habits (trying to stop smoking, drinks too much on occasion), she has turned her life around and her new relationship with Finn Jensen seems to be going really well. Then, in what Auburn refers to as 'Diary Irony', someone from her past comes to sleepy Budbury to stir things up and lead Auburn to question her life. After reading this one I’m no onger sad that the series is ending. I don’t much care for Auburn, she is pretty terrible and the storyline with Seb and Finn was just uncomfortable and juvenile. I was really into this series at first but the fringe characters got to be too much like caricatures of stereotypes. Did we ever find out who Joanne is/was? So sad this is the last one in the series as such an amazing good series and simply didn’t want it to end. This book is so well written and worth more than five stars as so good and you really enjoy spending time hearing about the cafe and all the friends there. Full of heartbreak, romance and friendship and facing up to your past to move forward. Also has weddings and babies a plenty. Very heartwarming read and amazingly good read. This book was based around Auburn she came home to help out her So sad this is the last one in the series as such an amazing good series and simply didn’t want it to end. This book is so well written and worth more than five stars as so good and you really enjoy spending time hearing about the cafe and all the friends there. Full of heartbreak, romance and friendship and facing up to your past to move forward. Also has weddings and babies a plenty. Very heartwarming read and amazingly good read. This book was based around Auburn she came home to help out her sister willow with her mum as it was to much for willow. She’s opened a chemist and is busy running that and of course has her wonderfully handsome Finn who is her boyfriend. But while she’s helping to organise a pink wedding for Laura before she has her twins her past catches up with her and she admits she’s married. She loves Finn and has to be honest to him but she needs to find out how she can get a divorce from her ex can she do it. Problem is while at Laura’s wedding she sees a face coming that she didn’t want to see as it is her ex and he’s rented one of the cottages and come to see Auburn to start with he’s saying he will give her what she wants if she really has no feeling for him. Finn is very unsettled about it all and they are all struggling but who will she fall for and will it be the right person. Will she get a wedding and will it be to the right person. I can't believe after 6 amazing books we finally have to say goodbye to Budbury, and The Comfort Food Cafe. I adore this series, but understand good things apparently must come to an end. So not only do we finally get Auburn;s story, we get to see Laura and Matt's story resolve itself. And what a story it is, with a massive secrete from Aubern's past being revealed. I loved meeting up with all the Comfort food regulars, and seeing the latest instalments in their lives. This was just a great feel I can't believe after 6 amazing books we finally have to say goodbye to Budbury, and The Comfort Food Cafe. I adore this series, but understand good things apparently must come to an end. This was just a great feel good, massive celebration of a book, with a Wedding thrown in for good measure, and fabulous wedding it was too. This review has been hidden because it contains spoilers. To view it, click here. A nice ending to a lovely series. I enjoyed it so much, I went back and re-read the whole series for the third time. What a joy! ***SPOILER ALERT*** I’m giving this last book 3.5 instead of 4 stars because Seb really annoyed me with his game playing and manipulative ways. Auburn’s reaction to him when was being manipulative was frustrating because she just couldn’t see it. But I still loved the story and the future endings were very satisfying. I LOVE this series of books. The Comfort Food Cafe has brought me, as a reader, so much joy. What wonderful, feel good stories, warm, lovable characters and a wicked sense of fun and friendship - we have been spoiled with these books and feel part of that much loved community so, it's only right to feel a sense of grief creeping in knowing that this is our last visit. And what a flourishing finale it is! I was hooked from the off - which isn't unusual, you can always count on Debbie for a cosy, engulfing hug of a book. I enjoy how we always get to focus on one of our much loved residents whilst still revisiting the lives of other characters. Auburn, the former wild child, has seemingly settled in Budbury, found love with Finn and is almost at a place where she'd agree her life was going well. With shock revelations and a visitor that sends Auburn right back to the wild, reckless days she thought she'd moved on from, we see how she distances herself from the wonderful Finn, she contemplates how her life could be moving forwards and we see her as she starts to question her choices, is it too hard in Budbury and should she give in to the temptation being offered? This book is everything we would expect from the Comfort Food Cafe - friendship, love, community. Everyone in place to support each other and welcome new additions - whether they end up being for the good of our favourite characters or not. I love how all of the characters have their own little back story and how it's interwoven into this one too. Although it is the last in a series of books it works well as a stand alone, but I urge anyone to read the other books too because they are just as good as this. A fantastic read to cosy up with, a gorgeous binge read or perfect for a holiday book. This story is mainly about Auburn, the red headed wild child who came back to Budbury to help look after her mother with dementia. Auburn has settled back into life running the pharmacy and starting a relationship with Finn, which seems to be going from strength to strength......... is she finally going to settle down and be happy or will her past catch up with her when she least expects it! Very sad that this is the last book in this brilliant series, as with all of the others this book is full This story is mainly about Auburn, the red headed wild child who came back to Budbury to help look after her mother with dementia. Auburn has settled back into life running the pharmacy and starting a relationship with Finn, which seems to be going from strength to strength......... is she finally going to settle down and be happy or will her past catch up with her when she least expects it! Enjoyable, but glad this series is coming to an end. The stories are a little interchangeable, and very similar in the 'woman with a few issues, meets lovely bloke but all sorts of challenges in getting to the point where they walk off into the sunset, cheered on by the village'. So sad this series is at an end. Missing the comfort food cafe already. Over the last few years these stories have come to feel like old friends who will be missed until next time I read them. I have enjoyed all of the Comfort Food Cafe books. This one was a bit much. I did not truly embrace the narrative voice of this book. Auburn’s voice was a bit too whiny. This book just didn’t have enough of the magic from the other books, and I think it was Auburn’s voice. But it was nice to spend a little more time with the folks that frequent the Comfort Food Cafe. I will miss all of them. In the acknowledgements Debbie herself has admitted she is sad that this is the last book but that the time is right to end things as authors quite often keep a series endlessly running simply for the money and because it's easier. But when the ideas have run out and the series is still fresh and innovative now is the time to finish things. I would have hated to see the Comfort Food Cafe dragged out just for the sake of it because everything the readers have loved about this series would have be In the acknowledgements Debbie herself has admitted she is sad that this is the last book but that the time is right to end things as authors quite often keep a series endlessly running simply for the money and because it's easier. But when the ideas have run out and the series is still fresh and innovative now is the time to finish things. I would have hated to see the Comfort Food Cafe dragged out just for the sake of it because everything the readers have loved about this series would have been tainted if future books just didn't have the same feeling and warmth. I feel it is fitting to conclude now and end things on a high and throughout the story I felt there was a real feeling of tying up loose ends. Auburn's story is the last to be told but that doesn't mean we don't get to hear from other characters or see further development of their plots from previous books. As usual there is plenty of recapping of previous books in a paragraph or two which allows new readers to become familiar with what has already happened. To be honest though, as this has been such a good series this last book would not the ideal starting place and to appreciate just how special Budbury, the café and all the wonderful people we have met truly are, you should read from the very beginning. 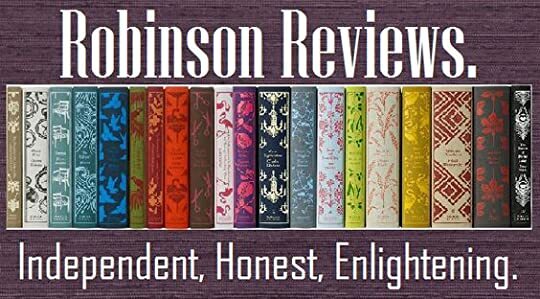 Trust me there would be no better enjoyment than sitting and reading each book one after the other and just getting caught up in the magic that Debbie Johnson has created. As we return to the café perched high on a cliff top that overlooks the sea, the characters I have become so familiar with are preparing for a big event. Laura who was the first person to feature is about to get married to vet Matt. She is eight months pregnant with twins and all the women she has grown so close to are gathered together to hold a little party in anticipation of the upcoming wedding. When each person is tasked to describe their dream wedding, Auburn is caught in a conundrum. She returned to the village last year to help care for her mother Lynnie who has alzheimer's but she has been harbouring a secret which has been eating away at her. When the dream wedding question is posed everything comes spilling out and she reveals what has been bothering her. It turns out Auburn is already married and has been for quite some time. Why hasn't she said anything? How can she be dating the handsome Finn and not have said a word even to him? Just what else could Auburn be keeping secret? Auburn is a complex character who never seemed completely at ease in her skin. The story is told from her point of view and it was as if her brain could never settle and relax.That constant worries were rushing through her head and it was affecting how she was living on a day to day basis. This was one person where the past was affecting how she lived and enjoyed herself in the present and unless there was a significant resolution she would continue to go on like this forever. Now she has settled back in Budbury and done the right thing by returning to help her sister Willow care for her mother alongside Van, it's the time for her to put all past mistakes right. Running the pharmacy with help from Katie keeps her occupied and she feels she has fallen on her feet when it comes to her relationship with Finn. But for too long she ran from things, preferring always to be on the move escaping, fleeing and moving forward instead of facing the realities of the past. The burning question for me was why had she kept the marriage a secret and why had she not done anything about it considering she had been separated for several years. As the reasons become clear it's evident Auburn had been in a very tricky situation that she got totally caught up in and the deeper she became involved her judgement became clouded. Things were taken out of her hands because she lost control due to the nature of the relationship and what she found herself engaging in. A destructive path was being trod and if her close friends in Budbury knew what she was previously like they really wouldn't have thought she was the same person at all. But Auburn saw the light but at what cost? She makes a significant decision and before she knows it her ex Sebastian arrives on the scene seeking clarification as to what happened. But will old feelings resurface and when faced with a life changing choice will Auburn make the correct one? Auburn feels every time she attempts to relax and go with the flow and let happiness make a reappearance things go wrong but I think she needed to be open and willing to share the load with people. That's what this series has been about. The Comfort Food Cafe is at its centre and from that stems a unique group of women and their various partners who always want to be there for each other and to help out in any way. The feel good feelings and warmth ooze from the pages and I know countless people, myself included, really do wish that Budbury was real and that we could escape there away from the harsh realities of our lives. A family unit has been established and everyone I have read about is interconnected and interlinked in so many invisible ways. So I hoped that Auburn wouldn't bottle everything up and try to deal with the conundrum facing her all by herself. Cherie Moon, owner of the café and now in her seventies, had so much support and wisdom to offer, Auburn would have done well to go to her and have a chat. But I think Auburn was so used to being independent and working things out for herself that with this situation that she faced she felt she could manage things alone without truly expressing what she was feeling to anybody. I hoped she would change her mind as her heart was pulling her in different directions at different times. I couldn't really warm to Sebastian at all and I think that's because before he arrived we knew his history and that affected my opinion of him. My judgement was clouded and perhaps I should have kept an open mind like Auburn was doing. But I wondered could a leopard change his spots? Did he seem just too good to be true? But as for Finn, my god I fell hook, line and sinker for him. He was a character who I thought didn't have a dominating and overbearing presence throughout the book and it was all the better for it. He was subtly written and came in every now and then and backed up Auburn when she needed it. Finn was so understanding, considerate, patient, accommodating and kind. If he were to exist in real life I felt as a partner he would just be there for you every step of the way when you needed support. He would always have your back and shower you with love and attention. I thought it was brilliant that he never pressured Auburn. He gave her the free rein she needed because he somewhat removed himself from the situation which I thought was clever and showed that he was considering the bigger, long term picture. I just wondered would Auburn understand what he was doing and would this help her in the life changing decisions she had to make at some point or other? 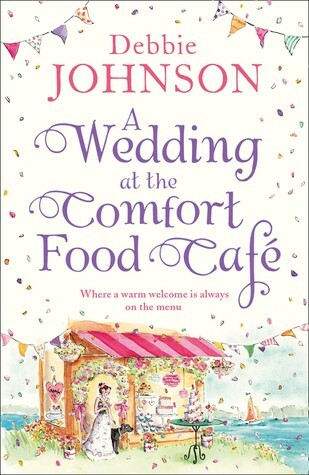 ‘A Wedding at the Comfort Food Café’ is the latest – and sadly, the final - instalment in the wonderful ‘Comfort Food Café’ series by Debbie Johnson. I have been eagerly awaiting the release of this book as an opportunity to return to Budbury, one of my favourite fictional locations, and to revisit some old friends. The book focuses on Auburn, who we have met before earlier in the series, a former wild child who has settled in Budbury to support her family and has entered into a relationship with ‘A Wedding at the Comfort Food Café’ is the latest – and sadly, the final - instalment in the wonderful ‘Comfort Food Café’ series by Debbie Johnson. I have been eagerly awaiting the release of this book as an opportunity to return to Budbury, one of my favourite fictional locations, and to revisit some old friends. The book focuses on Auburn, who we have met before earlier in the series, a former wild child who has settled in Budbury to support her family and has entered into a relationship with local Finn. A person from her past enters her present, leaving Auburn with a big decision to make. I liked Auburn as a character, found her backstory interesting and mostly understood the motivation behind her decisions. However, there was one particular choice Auburn made that I didn’t agree with, and couldn’t quite comprehend the rationale behind that decision; I found it quite disrespectful towards Finn. I was rooting for Auburn and Finn, and enjoyed reading about them (this may sound strange considering I’ve just mentioned her being disrespectful towards him, but in the earlier chapters I really liked their relationship). For me, though, the best parts of the book were those about the local community. The community spirit in the town is captured beautifully, and is the real heart of the books that makes readers want to come back for more. A warm and welcoming community that care about each other, supporting each other through the hard times and celebrating the good, is something I think a lot of people would love to have in their lives and when reading this book you somehow feel part of the Budbury family. The book is about so much more than just Auburn, and Budbury feels so real; I defy anyone not to wish it really existed. The book could be read as a standalone novel, however I strongly recommend reading the series in order if you can. The beauty of the series is that it focuses on one town and, specifically, the local café, so you meet a colourful collection of characters who then pop up from book to book. As the sixth book in the series, a large chunk of the plot involves the wider community rather than focusing purely on Auburn herself, and a number of different characters are mentioned; I think having the background from the earlier books will make it a lot easier to follow, and the story more enjoyable to read. For example, there is a wedding between two characters whose love story we followed in an earlier novel, and I found it more meaningful and emotional having been with them since the beginning. This review has been hidden because it contains spoilers. To view it, click here. I read the Google version of this book and to be honest, it has tons of editing issues. Most commonly the words ran together soicouldn't (example) understand what was being said until I read it again. A few words were wrong, like, completely wrong... and I worried. I used to be a huge fan on Joanne Fluke until those books got really REALLY bad, and I wondered if she was even writing them anymore. Same with this book. I was a bit sad. I told my husband that this book was different from the others I read the Google version of this book and to be honest, it has tons of editing issues. Most commonly the words ran together soicouldn't (example) understand what was being said until I read it again. A few words were wrong, like, completely wrong... and I worried. I used to be a huge fan on Joanne Fluke until those books got really REALLY bad, and I wondered if she was even writing them anymore. Same with this book. I told my husband that this book was different from the others, and maybe it was just because it's about Auburn, she's a rough and tumble gal, maybe it's just because of that. A lot more "language" and "relationship time" in this one. I've never been a fan of those things. I read the Cafe books because of the love and the friendship and the impossible odds that people overcome in Budbury. It's silly, but it's sort of inspiring. This one was barely any of the things I like. I felt it was unfair of Auburn to expect a man to sit about and wait for her to decide between him and someone else. On both men's accounts. Maybe I just don't care much for Auburn. I don't know. I appreciated her heart for the people she visited and the care she gave her mom, but as far as how the "guys" went... not a fan. So, I finished the book last night and thought ... huh.... then decided to read the "afterword" and said "ah ha!" ... since it's the very last book in the series. In a way I was sad because I had to say goodbye to my friends in Budbury....and felt a bit cheated since I didn't KNOW it was the last book until I'd finished it..I might have savored it a bit more had I known in advance. But it made sense. The writing was not quite there, and before I knew it was the last book I was worried it would turn into a Joanne Fluke situation. So I get it. Thank you Ms. Johnson for not dragging it on if your heart isn't in it anymore. Whew. Thank goodness. I just wish it had gone out on a better note, or with more closure, or something. I feel like I was on a pleasant pathway lined with flowers, only to find my next step was off of a cliff. Which is fine, I mean, if you're not feeling it anymore you're not feeling it.... but gah! So, technically, 4 stars.... because it IS a cafe book.... if it was not a cafe book I'd likely give it a 2 star rating, simply because the characters were not very likeable and the situation was somewhat ridiculous. It got 1 extra star because it's the last of it's kind. The final book in the series has a very special wedding. Laura was our first introduction to the cafe and her story is still one of my favourites. It made me c The Comfort Food Cafe has been a favourite read, since its inception. There is so much to love, with its quirky characters looking for someone to love them and give them a second chance. Cake to die for, and a wonderful sense of community and friendship that symbolises the ethos of these heartwarming, humorous and ultimately happy stories. The final book in the series has a very special wedding. Laura was our first introduction to the cafe and her story is still one of my favourites. It made me cry, laugh out loud and empathise will her trials and tribulations. Auburn is our narrator for this final book in the series, and even though she fits right into the Budbury and the cafe community, she is keeping secrets and somehow feels she doesn't deserve the friends, lover and life she currently enjoys. The wedding is a delight and colourful, typically amongst the fun, love and romance there is conflict, thankfully not for the bride, but Auburn has to face her past. Even in this last book, there's more to learn about the characters, and they continue to baffle and delight in equal measure. The ending is romantic and rightfully quirky. Even though we have read the last line, you can imagine the antics, hear the laughter and tears and almost taste the cake as the cafe's comfort lives on. I love the Comfort Food Café. I've completely fallen in love with this series, its characters and of course, the cosy setting. Although I am sad that this is the last installment in the series, I think it was the right decision from the author, to end on a high note. Through the series, we have read about 6 amazing women, I have cheered for them and I have shared their joy at finding their own happy endings, and they will for sure keep a little piece of my heart. But let's talk about this story n I love the Comfort Food Café. I've completely fallen in love with this series, its characters and of course, the cosy setting. Although I am sad that this is the last installment in the series, I think it was the right decision from the author, to end on a high note. Through the series, we have read about 6 amazing women, I have cheered for them and I have shared their joy at finding their own happy endings, and they will for sure keep a little piece of my heart. I received an early preview copy of this book from Netgalley in return for an honest review. I have read all of the other books which are set at the comfort cafe, this one is sadly the last in the series. I absolutely love the series, and I couldn't recommend them enough. In my opinion, it is advisable to read the books in order, as there is such a wide range of characters, who gradually get introduced throughout the series. It would not be as enjoyable as a standalone novel, although the book do I received an early preview copy of this book from Netgalley in return for an honest review. I have read all of the other books which are set at the comfort cafe, this one is sadly the last in the series. I absolutely love the series, and I couldn't recommend them enough. In my opinion, it is advisable to read the books in order, as there is such a wide range of characters, who gradually get introduced throughout the series. It would not be as enjoyable as a standalone novel, although the book does give a few recaps of previous events. This book features Auburn, the pharmacist, who moved back to the village in the previous novel. She has secrets that she is trying to hide, but the last has a habit of catching up with you. The book also features Laura's wedding to Matt, this is the wedding that is referred to in the books title. What a wonderful ending to a fabulous series, A Wedding at the Comfort Food Café was a balm to my soul after a wretched week. Snuggling down, wrapped up in my throw I delved back into Budbury, catching up with old friends. Autumn has been one of my favourite characters in the Comfort Food Café series. I love her complexities, her spirit, and her straightforwardness, she is a breath of fresh air. Then there is Finn, *sighs*. Finn, the water to Autumn’s flame, a man, not without his own problems, w What a wonderful ending to a fabulous series, A Wedding at the Comfort Food Café was a balm to my soul after a wretched week. Snuggling down, wrapped up in my throw I delved back into Budbury, catching up with old friends. Autumn has been one of my favourite characters in the Comfort Food Café series. I love her complexities, her spirit, and her straightforwardness, she is a breath of fresh air. Then there is Finn, *sighs*. Finn, the water to Autumn’s flame, a man, not without his own problems, who gets Autumn and all her eccentricities. My thanks to #Netgalley and #HarperImpulse for giving me the opportunity to read and review the ⭐⭐⭐⭐⭐ rated #AWeddingAtTheComfortFoodCafe I spent two wonderful days lost in Autumn’s world, trying to work out who she would trust her heart to. I still liked the book, I felt sorry for Finn having to go through that, in my opinion she should have told Sev to jog on right away and stuck to her word. I also wanted more of their wedding in the book, more details of the day and the run up to it and not just the last chapter. I know this would have made the book massive but that’s ok right? I love coming back to the Comfort Food Cafe. I love seeing the vast array of colourful, intricate, deep and flawed characters finding their peace in the rural folds of coastal England. Auburn is especially flawed but her journey of growth, empowerment and self improvement is probably the best of the bunch. Finn was fantastic and clearly had his own demons to tame. The beautiful backdrop of Budbury is the perfect setting for their love story and happily ever after. Edie rocks, if any Fabulous read. Edie rocks, if any of us are half as fun as she is well into old age then we can call it good. I am so sad that this is the final book in the Comfort Food Cafe series but this book does not disappoint and goes out on a high. It’s a good idea to read in order so to understand the characters. I love it that the characters move from book to book so by the time we get here I can’t wait to know more about Auburn. Well written, easy to read and loveable characters so much so that you need to remind yourself that you are reading a novel!! Thank you for writing this series. I loved this book just as much as the others. I cried so many years because of the story but also knowing I was saying goodbye to these amazing characters and community. When an author makes a town so real I feel like I'm visiting it's hard knowing I'll never get to visit again. Here's hoping the author ends up missing everyone as much as I will and decides she can't say goodbye. Nooo, the last book in the series which I've loved from the first book! Debbie explains at the beginning of the this book why she's decided to finish the series, and I do understand why, but I'm sad there won't be more. I'll just have to read them all again! This book centers in Auburn, Willow's sister and pharmacist in Budbury, and her relationship with Finn, the manager at Briarwood. All the main characters are here, and it's a fitting ending to a fantastic series. I'm off to re-read the series Nooo, the last book in the series which I've loved from the first book! Debbie explains at the beginning of the this book why she's decided to finish the series, and I do understand why, but I'm sad there won't be more. I'll just have to read them all again!